Shadow of the Tomb Raider the Hidden City Walkthrough Guide will help you reach The Hidden City so that you can progress through the game and continue with the story. The path to the Hidden City is not an easy one, as Lara will face puzzles and trials to get there. 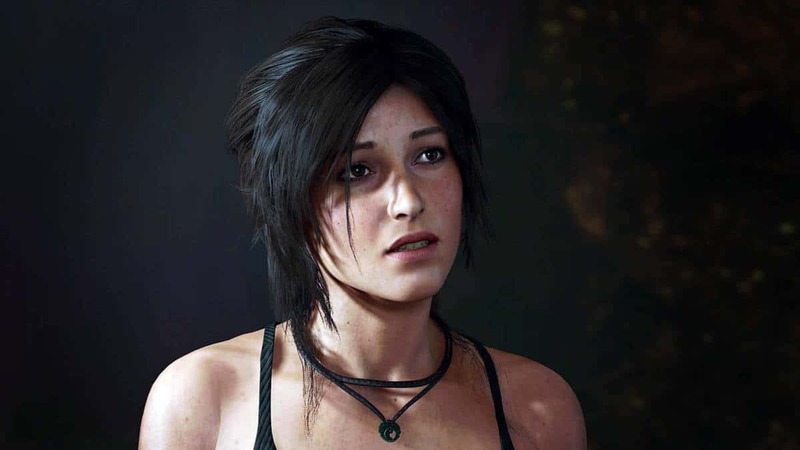 That is where our Shadow of the Tomb Raider the Hidden City Walkthrough Guide comes in to help you overcome these obstacles and continue with the story. 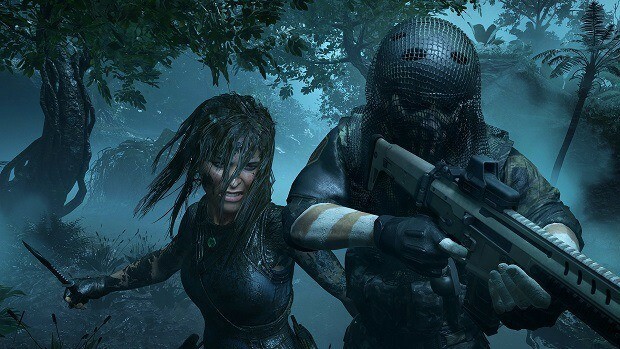 Developer Eidos Montreal has noted that Shadow of the Tomb Raider puts more emphasis on puzzles compared to the last two entries and it is quite evident in this level of the game. 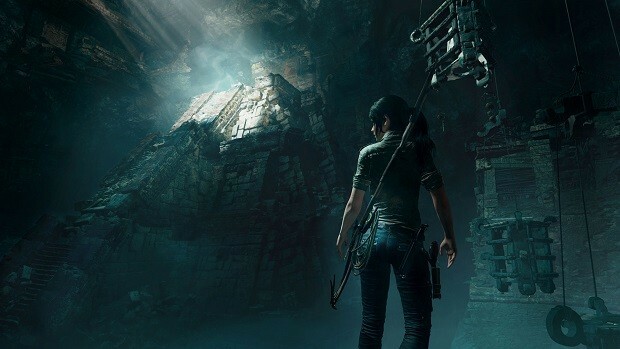 Our Shadow of the Tomb Raider the Hidden City Walkthrough Guide will help you with these puzzles and trials that you will come across in the game. 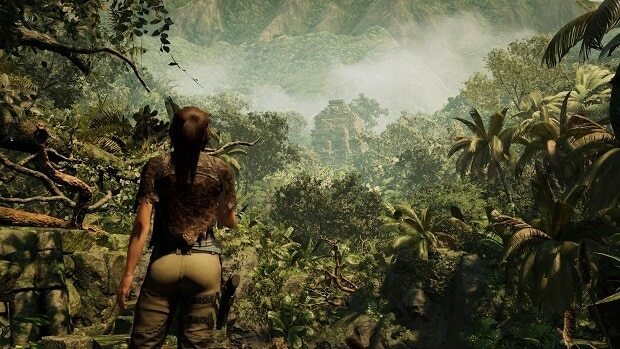 This level starts with Lara following Abby towards some ruins. Move ahead and dive in the water below and swim your way through and you will see Trinity Soldiers. Clear them out and go ahead. Along the way, a campsite will appear and as you get to the next area and Lara will learn about the mud patches. Ahead will be some enemies that you can either kill or sneak past. In the next area, there will be more soldiers so, deal with them and move ahead. Lara will have to grapple down to the caves and you will encounter a puzzle in the cave. You can see the solution for the puzzle in our Fire Temple Puzzle solution guide. Once the puzzle is solved and Lara will learn some stuff. In the next area, Lara has to go through an underwater section and when she is through, she will encounter Trinity soldiers. Deal with them using your newly learned Eagle’s Talon and move ahead more will be waiting for her. Kill the soldiers and move ahead an unfortunate event will take place and Lara will find bodies of Trinity Soldiers. Continue on the path and Lara will reach back at Kuwaq Yaku. 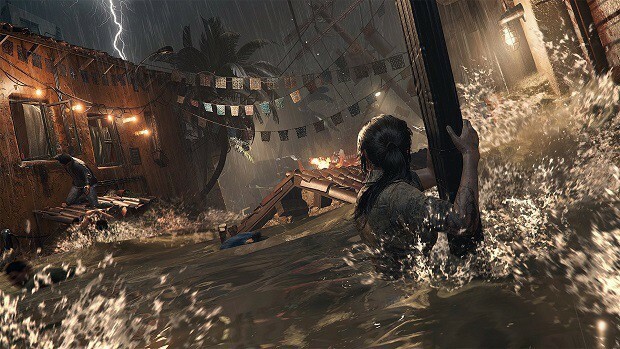 Lara will again be separated from her allies, will jump into the water, and will have to swim through the underwater pathway. Eventually, Lara will reach a cavern and you will have to attempt the Trial of the Spider. The Trial of the Spider is a simple parkour test and should not be difficult to pass. After that, you will have to attempt the Trial of the Eagle which will be a bit difficult compared to the last one. However, you just have to do what that game tells you to and you will pass it and will find something that can be used as a ladder. Keep following the path and you will come across another mechanism that you can use to attach a rope tether to. Attach the rope tether to the middle mechanism and it will start turning using the Wind. Now get to the ladder and climb up and then move up but be careful of the moving mechanisms and keep going until you reach the ladder which you will climb up to where you will climb another one. Eventually, you will reach another mechanism that will open the wall to reach the middle mechanism. Break down the rope tether using the spinning mechanism and use another one to pull a door open and you will need to keep it open. Now attach the mechanism in the middle to the spinning mechanism located outside and it will start spinning the upper mechanism. The ladder will break and you will climb the mechanism to get up there. Jump to the wall and climb your way to the exit. After that, you will find another campsite. 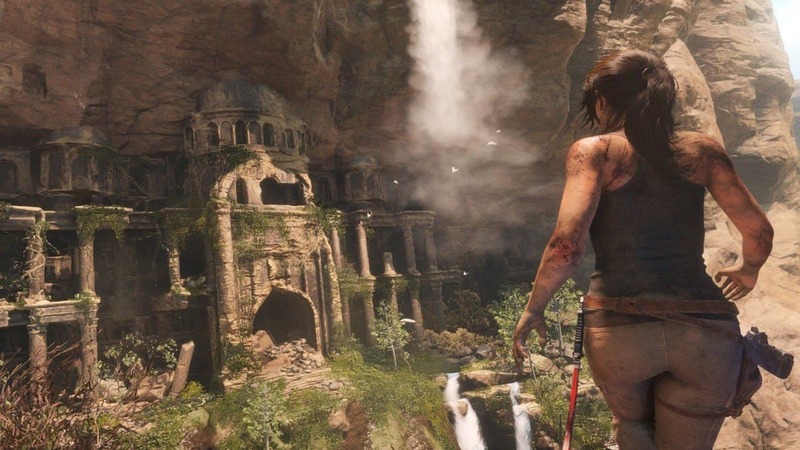 Here the game will teach Lara the Grappling Hook and she will grapple to the other side and will continue down the path until she reaches the “Hidden City”. Just continue down and a cutscene will play. 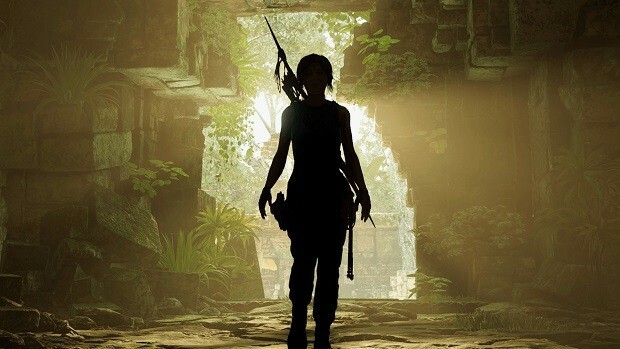 That is all for our Shadow of the Tomb Raider the Hidden City Walkthrough Guide with tips on the trials and puzzles that you will encounter along the way.